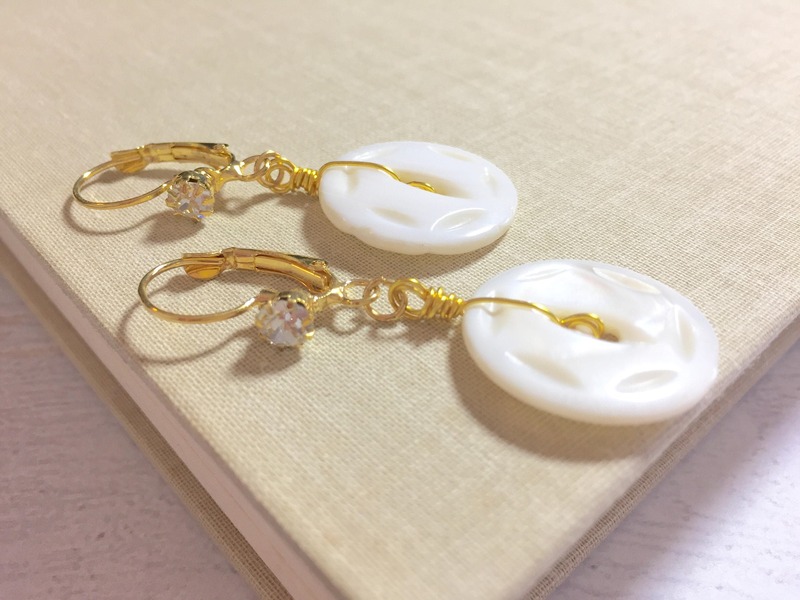 I repurposed vintage carved mother of pearl buttons by wiring them to a gold toned rhinestone leverback ear wire. 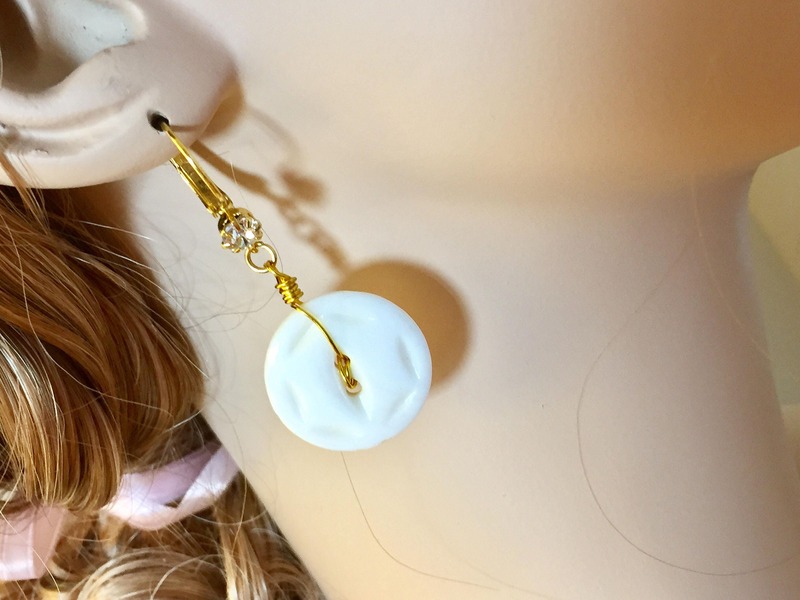 These earrings measure about 2 inches (5cm) from the top of the ear wire to the bottom of the lovely button. 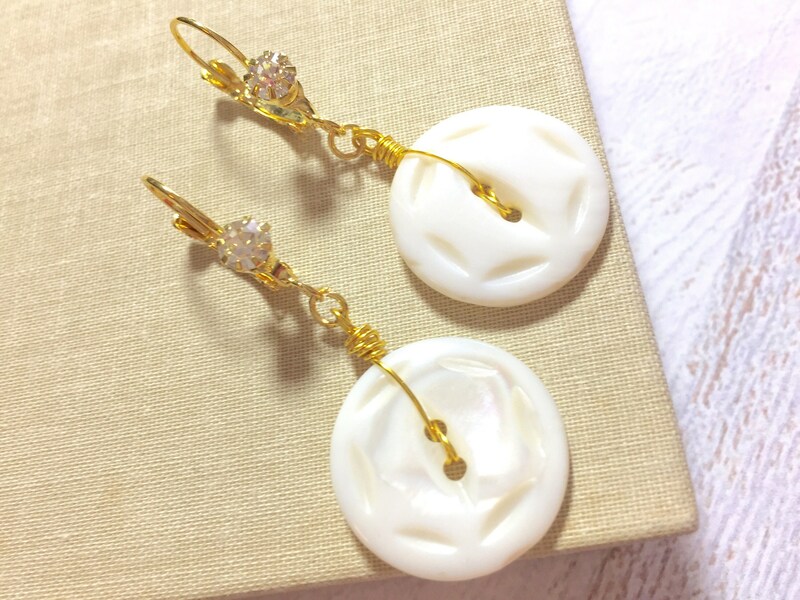 Please note: These earrings are MADE TO ORDER and there are variations in the carved vintage mother of pearl buttons. 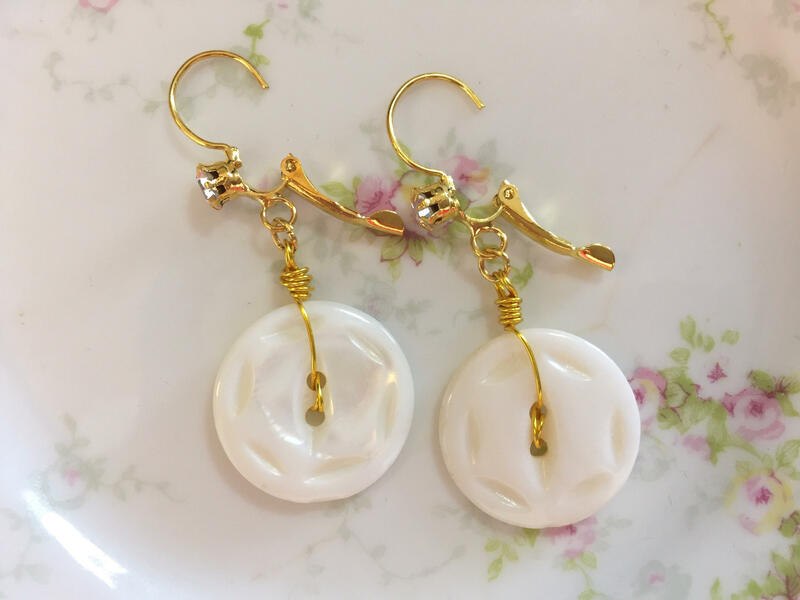 I can also make these with silver toned rhinestone lever backs and silver wire. If that is your preference, please put a note to seller or contact me before purchase. Thanks!